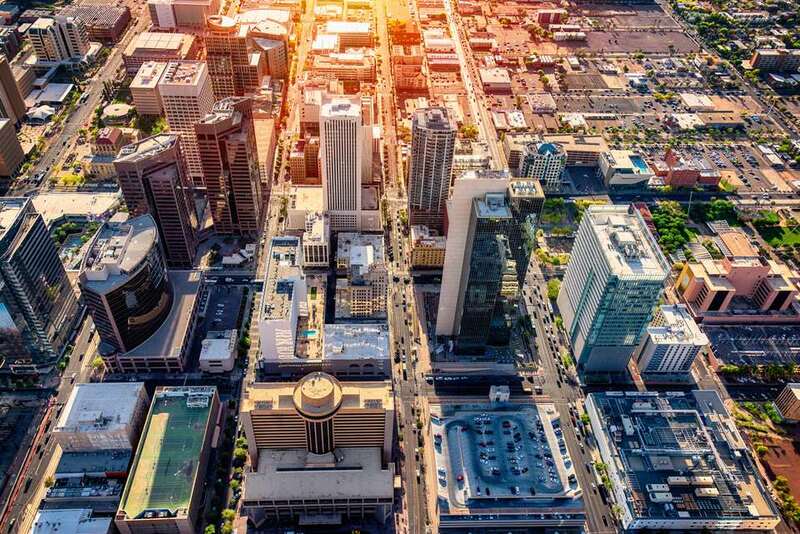 January is considered the high season in Greater Phoenix, with many activities, both indoors and outdoors, and moderate daytime temperatures perfect for exploring this southwestern city. If you're planning a trip this winter, there are many community events that you can count on year in and year out, offering art walks, movie nights, vendor fairs, and sports and wellness events. No matter what interests you, you're sure to find something to do this January. Don't forget that January is also the month of Martin Luther King Day Celebrations, of which Phoenix has more per capita than almost any other U.S. City, but no matter what time of the month you visit, you're sure to discover something magic in the Greater Phoenix area. Phoenix comes alive with the sound of music in January, and there's plenty of public festivals and special concert events throughout the month to entertain audiences of all ages. For fans of classical music, consider attending the Arizona Bach Festival in Phoenix or the eclectic Arizona Musicfest in Scottsdale. Alternatively, seeing the Chandler Symphony Orchestra's January concert in Chandler or visiting a Sunday A'Fair at the Scottsdale Civic Center is an equally great way to experience some classical music performances. There are also several contemporary music festivals and special music events happening throughout the month including Beyond the Bricks in Downtown Tempe, Desert Ridge Marketplace Concerts, and the Out to Lunch Concert Series at the Mesa Arts Center. For some nighttime entertainment, consider the family-friendly concerts at Chandler's Environmental Education Center for their nightly Sonoran Sunset Series or head over to the Mesa Arts Center for a grown-up night out with live art, music, and local food and drinks at "spark! After Dark." The Greater Phoenix area is all about community engagement and activity, and even if you're a guest to the metroplex, you're welcome to attend any of the local community events available in January. The City of Chandler also celebrates its diversity in a stationary event in January, the Chandler Multicultural Festival, a celebration of all the cultures that call Chandler their home featuring food, music, dance, storytellers, and interactive displays. For something a little different but still geared toward community engagement, you can also join in on the No Pants AZ Light Rail Ride just by taking the light rail at a certain time and taking off your pants with the rest of the revelers (undergarments required). Christmas might be over, but that doesn't mean that it's not the time to shop for unique gifts if you're visiting Phoenix in January, especially because there are a number of great vendors' markets and street festivals this month. In Downtown Tempe, visitors can browse local goods at the 6th Street Market every Sunday in January for original arts and crafts, live music, shopping, and family-friendly activities. For a market that gives homage to the native people of the region, the Cave Creek Indian Market in late January at the Stagecoach Village in Cave Creek offers traditional arts and crafts, Native American dancers, musicians, and storytellers, and traditional southwest cuisine, as does the Fountain Hills Indian Market and Southwest Art Festival in Fountain Hills. If you're planning on getting married in 2019, especially in the greater Phoenix area, you definitely won't want to miss the Downtown Mesa Wedding Walk where you will be transported to various wedding venues in downtown Mesa for cake, wine and food tastings, giveaways, and fashion shows. If you're a fan of creatures and the outdoors (or indoors, in some cases), there's plenty of opportunities to explore nature's wonder in the Greater Phoenix area this January, starting with the closing of the annual ZooLights display at the Phoenix Zoo on January 13. Although it might be a lot to ask of someone traveling, if you're in Phoenix looking for a pet, check out "Paws in the Park" at Scottsdale's Chaparral Park. This annual pet expo and pet drive helps local rescue animals find homes. Arizona is home to some of the largest populations of Arabian horses in the world and with the Scottsdale Arabian Horse Farm Tour, you can meet the National Champion horses and top trainers of this prominent farm. For a larger breadth of the farm life of nearby Arizona communities, the Arizona National Livestock Show takes place over the last week of December and first of January. Arizona's largest livestock show takes place at the Arizona State Fairgrounds in Central Phoenix and features exhibits, competitions, and the Cowboy Classics Western Art & Gear Show. If you're a fan of birdwatching and drinking, "Birds 'n' Beer" offers local professionals (and visitors) a fun and refreshing way to learn about Arizona birds and other wildlife. Have a cold brew while enjoying an enlightening and lively presentation on Arizona nature. Finally, though it might not involve any real animals, the Polar Bear Plunge is a great annual event held at local community pools where guests jump into the pool wearing bear costumes to raise money for Tempe's adapted recreation programs. For sports fans and fitness enthusiasts, Phoenix offers a ton of active lifestyle events and activities, including professional games, during the month of January. The Phoenix-local Arizona Cardinals football team is in season all of January, as is the Arizona Coyotes hockey team and the Phoenix Suns basketball team. You can also catch the Arizona Rattlers Training Camp or one of the roller derby matches of the Arizona Derby Dames. Additionally, the TPC Scottsdale golf course hosts the annual Waste Management Phoenix Open Golf Tournament over the last week in January. For outdoors and adventure lovers, First Day Hikes are held at many of Arizona's State Parks, and Skyline Celebration offers a full day of activities including hiking, mountain biking, trail running, and special clinics to train guests to enjoy fitness out in nature. Speaking of Fitness, Fitness in the District is a series of one-hour classes by certified instructors every Tuesday in January. The Health & Wellness Expo and Embracing Your Journey Expo both also happen this month and offer visitors advice on finding and engaging in a healthier lifestyle. For fitness professionals and dedicated runners, there's also the Rock 'n' Roll Arizona Marathon, which features a 5K, 10K, Kids' Run, Expo, and live music along the entire route. From gardening expos to gun shows, Arizona has a lot to offer in special interest events during the month of January. Surprisingly, Arizona is extremely popular for auto shows and car-centric events this time of year, so if you're a fan of anything auto-related, you can check out the Arizona Concours d’Elegance in Phoenix, the Barrett-Jackson Classic Car Auction at WestWorld in North Scottsdale, Friday Night Drags in Chandler, the Military Vehicle Show in Tempe, or Motorcycles on Main in Mesa. Other auctions include the Gooding & Company Car Auction, RM Auctions, and the Russo & Steele Classic Car Auction. For the gun fan in the family, the Crossroads of the West Gun Show offers hundreds of tables of interest to both the once a year hunter and the avid collector at Mesa Centennial Hall in mid-January. For the gardener in the family, though, you won't want to miss the Maricopa County Home and Garden Show, which offers hundreds of exhibitors, seminars, demonstrations, and displays at the Arizona State Fairgrounds on the same week. Foodies and wine lovers alike will enjoy January in Phoenix because the Greater Phoenix area hosts several festivals honoring the traditions of eating and drinking in Arizona. For vegetarians, the Arizona Vegetarian Food Festival at the Scottsdale Civic Center Amphitheater features vegetarian food companies, restaurants, and health and wellness vendors in a huge expo on living a meat-free life. If you're in the mood for something slightly more decadent, the Chocolate and Wine Experience hosted by the Scottsdale League for the Arts offers guests luxurious chocolates to eat, play, and drink with at the Saguaro Scottsdale. For a true taste of Arizona, Tacolandia at the Margaret T. Hance Park in Phoenix offers taco samples and live entertainment. This traditional Arizona Mexican food is a local favorite, and at Tacolandia you'll get to taste every variety Phoenix has to offer. The Greater Phoenix area also hosts three wine and art events in the month of January: the Carefree Fine Art & Wine Festival, the Grape Arizona Wine Event, and the Sculpture & Wine Festival in Fountain Hills. If the murals decorating the walls around Phoenix weren't enough of a hint that this is an artists' city, the plethora of art events and festivals coming in January should be. Head over to the Phoenix Art Museum to start off your art adventure with the Discount Tire Free Family Weekend the first full weekend of the month, then head out and explore some of these other fine events. (Mesa Arts and Crafts Festival) is a free family-friendly event featuring artist creations, music, and entertainment. Meanwhile, the Native American Arts Festival features some of the finest artists in the Southwest who gather in downtown Litchfield Park for this festival showcasing both traditional and modern Native American Art. Starting in mid-January, the Arizona Fine Art Expo is a 10-week event in north Scottsdale where visitors can see designers, painters, sketchers, and sculptors at work alongside demonstrations, workshops, fine wines, and local cuisine. Scottsdale also hosts the Celebration of Fine Art elsewhere at the same time, making it a one-stop shop to see tons of art this January through March. First Friday in Phoenix, the Gold Canyon Arts Festival in Gold Canyon, the Outdoor Sculpture Tour in Scottsdale, and the Quilt, Craft and Sewing Festival at the Arizona State Fairgrounds in Phoenix are all also great art events if you're looking for more to do this month. For those hoping for an educational trip to Phoenix this January, there are plenty of events celebrating the scientific advancements, modern inventions, and history of the state. Astronomy Evenings offer a novice-level talk explaining facts about the solar system and the galaxy followed by observing the moon, several planets, and star systems through a Celestron telescope in Scottdale while S.T.E.M. Saturdays at the Museum of Science and Sustainability in Tumbleweed Park, Chandler invites youth and teens to discover topics like robotics, meteorology, physics, geology, and biology. Also, consider visiting Science With a Twist at the Arizona Science Center in Downtown Phoenix for a unique tour of the museum's exhibits. For those interested in the history of flight in Arizona, Aviation Day at the Capitol presents information about the industry and businesses that it enables in the Phoenix region. Aircraft owners and pilots, airport managers, aviation manufacturers and educators and members of the Arizona’s military community will discuss the importance of aviation in Arizona with state legislators. If history is your passion, there are also several events coming to Phoenix in January geared toward the rich cultural history of the region. The Mesa Historic Home Tour takes guests through the historic district while Native Trails and "Superstition Mountain Heritage Days: Apacheland Remembered" celebrate the Native American tribes that established the city as a central hub. Other great learning events include the ​Flagg Gem and Mineral Show at Mesa Community College, One World, Many Voices: The Artistry of Canyon Records at the Pueblo Grande Museum in Phoenix, and the Robert Burns Supper celebrating Scottish heritage in Phoenix. If you'd rather sit back, relax, and enjoy a film rather than going on an outdoor adventure, there are plenty of movie nights and film festivals coming to the Greater Phoenix area this January. City Lights Movie Night presents free movies at CityScape in Downtown Phoenix while Movies at the Museum showcases independent and classic cinema at the Phoenix Art Museum. Alternatively, venture over to one of the Talk Cinema nights at the Scottsdale Center for the Performing Arts to discuss new releases with the people who helped make them. Film festivals coming to Phoenix this January include the Chandler International Film Festival, the Desperado LGBT Film Festival at the Paradise Valley Community College Center for Performing Arts, and the Breaking Ground Festival at Tempe Center for the Arts.